Myers-Briggs test. Have you taken it? "...at intervals INFJs will suddenly withdraw into themselves, sometimes shutting out even their intimates. This apparent paradox is a necessary escape valve for them, providing both time to rebuild their depleted resources and a filter to prevent the emotional overload to which they are so susceptible as inherent "givers." As a pattern of behavior, it is perhaps the most confusing aspect of the enigmatic INFJ character to outsiders, and hence the most often misunderstood -- particularly by those who have little experience with this rare type." I take the Myers-Briggs test every few years and I always get INFJ. Took it again this evening: INFJ. I read the description and it explained me to me. Something I'd been puzzling over recently: balancing solitude with socialization. I want to make a potato casserole for Thanksgiving dinner this week. Potatoes, garlic, and leeks in cream sauce. There will probably be between 15 and 20 people at dinner. My family is scattered, working. Thanksgiving will be with dear friends. I walked away from most of my pots and pans seven years ago, and didn't have a large casserole dish. I've been thinking I should acquire one, hadn't noticed one in the second-hand shops. Hadn't ventured into the handmade pottery shops. Today I searched my favorite Maine adventure store. One never knows what one will find there. It's a rotating panoply. There were baking dishes, but none had lids. Except the bean pots. There were bean pots with lids. That was a possibility. Twenty dollars each. The posh kitchen store down the street was next on my search list. The pots and pans there were several hundred dollars each. Appliances too. Small pretty bowl $8 expensive. I found a bright orange ceramic casserole dish with cover for $85. I would have to want, need, and admire a casserole dish very much to spend $85. I said to the clerk, "I found a covered casserole dish for $85. Do you have any that cost less?" She replied, "We have many colors. What color did you want?" I said, stomping on my small twinge of shame, "The color is beautiful. I wanted a cheaper one. Do you have any cheaper ones?" She stopped to fondle the $85 casserole dish: stroking it and lifting the lid; she pretended to think, wandered for a few moments, and then proceeded straight to a low shelf in the back. "Well, there's this," she said disdainfully. "Anchor Hocking, $10." It was a large glass casserole dish with a lid. "Perfect! I'll take it, thanks." There will be potato casserole. I left work at 11:30 to await the furnace repairman. Company told me he'd arrive between 12 and 4. Ah, look! It's 4:07 and he just arrived. Yay! The point is...I felt just calm annoyance, not panic. Called the company a couple of times this afternoon, to confirm. "Yes, yes," they said, "he's coming." I purchased this house 4 1/2 years ago. That first year, whenever anything went wrong: blown fuse (circuit? ), locked out by electrician, stuck garage door, or too much snow; I panicked. I got all shaky and weepy, thought I couldn't do the homeowner role, called friends and family at odd hours to express discontent and sorrow. So he's down there now. Pounding on things, dropping metal tools on the cement floor, and going back and forth to his truck outside. He smells like cigarettes. Has wives, kids, and horses; told me when he was here in the summer for a regular cleaning. I have heat, but I also have an intermittent stream of water across the basement floor. I watched it for a few days, a week, wondering if it would go away on it's own. Wondered if the dude caused it when he did the regular cleaning. Evidently not, according to the company, of course. The stream got heavier, so I called for a fix. The house is clean and cleared. I vacuumed, scrubbed, dusted, and tidied. I played the sound bowls and smudged with sage. Now my house smells like weed. I set out bowls of apples, pistachio nuts, and M&Ms. 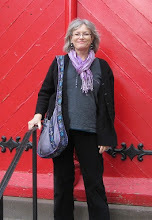 My friend Denise is coming over to do readings for several friends and coworkers. I have a neat schedule for the afternoon, sent directions to all. I set up the room with small tables and two lawn chairs, an amethyst lamp, a clock, notebooks and pens, tissues. I've got apple cider champagne and frozen pizza ready to pop top and pop into oven. I'm ready for my friends. Going to a Reiki retreat at a Buddhist monastery. 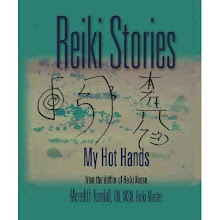 A Reiki rock star will share his knowledge and experiences with us. Not like Keith Richards. More like Pete Seeger or Leonard Cohen. Like the Dalai Lama or Annie Lamott. That kind of rock star. Reiki on. Busy day with students yesterday. We started at 6:30 am with a case study: patient with Parkinson's disease. At 8 am we toured our local cancer outpatient center and at 10 the hospice house. Ran into a dear friend there; she was making cookies. Next was a lunch n learn with nurse managers from the oncology floor where we'll be doing clinicals. The students had lots of questions. We spent the afternoon doing simulation with an $80,000 manikin. Late afternoon we were in a cathedral basement, at a flu clinic. We did blood pressures for any and all. Last, we attended a presentation on Ebola. There was a slide show and panel presentation with local ER docs. More good questions from the students. A famous local reporter interviewed us. Today I graded papers. Came home and raked leaves. Tomorrow more papers. A good story about integrative medicine in central Maine. Cool video at the end of the story.